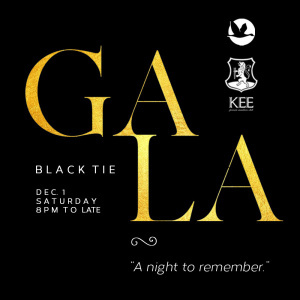 Join us for our annual Black Tie Gala event on Saturday, Dec. 1st…"a night to remember". We're honored that 8% of proceeds will go towards Sonflower Organization to help their cause in education underprivileged children. We've contracted the 4-piece String Quartet Pro Arté to serenade guest with live classical music from 20:30 to 23:30 followed by DJ Erico playing lounge beats into the late evening. Gourmet canapés will be served to guest along with Gala Spritz, or other drinks, included with your ticket. 3500¥ table up to 5 Persons comes with 2 Champagne , 1 Belvedere | 4800¥ table 6-8 Persons comes with 3 Champagne, 1 Belvedere | 6000¥ 6-8 Persons comes with 4 champagne, 2 Belvedere. If you'd like to enjoy Kee Club's amazing kitchen, a Four Course Gala dinner menu is also available, comes with one glass of wine and free entrance to Gala party. 788¥ per person. Contact your InterNations Ambassador Jared Bishop for Gala table packages or Dinner reservations: 18621382474. Dress Code is Black Tie and there will be a professional photographer. We want to see you looking your best! This will certainly be a night to remember, we have put alot into organizing and can't wait to have a wonderful evening with you!